Investment bank Goldman Sachs says its data shows that the yellow metal outperforms after rate hikes four times out of six. 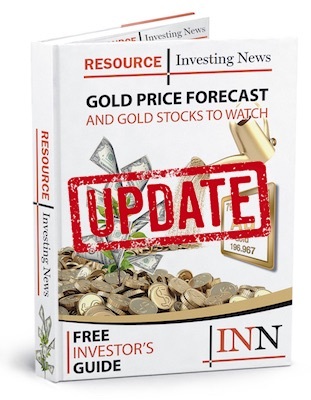 American investment bank Goldman Sachs (NYSE:GS) is bullish on gold for the first time in over five years. In a note released Monday (March 26), analysts at the firm said they expect the yellow metal to “outperform” in the coming months. The gold price is currently up about 4.5 percent year-to-date. “Our commodities team believes that the dislocation between [gold] and U.S. rates is here to stay,” they said. Last Wednesday (March 21), the US Federal Reserve announced its first interest rate hike of 2018, lifting the target federal funds rate from 1.5 percent to 1.75 percent. Fed officials also provided some clarity on the number of rate hikes investors can expect this year, noting that they continue to project a total of only three increases this year. However, they did forecast a steeper path of hikes in 2019 and 2020, citing an improving economic outlook. “The economic outlook has strengthened in recent months,” the policy-setting Federal Open Market Committee said in a statement last Wednesday in Washington. Officials also said that “further gradual adjustments in the stance of monetary policy” will be made. Goldman Sachs is calling for four interest rate hikes this year, a prediction that may seem at odds with its positive outlook on gold. In general, rising interest rates are associated with a falling gold price, as higher rates tend to decrease the appeal of non-yielding bullion. However, the firm has explained, “[b]ased on empirical data for the past six tightening cycles, gold has outperformed post rate hikes four times.” Analysts at Goldman Sachs also noted that an uptick in inflation and an “increased risk” of a stock market correction should also support gold. As of 1:36 p.m. EST on Monday, the gold price was sitting at $1,353.90. As mentioned, it is up about 4.5 percent year-to-date and just under 9 percent year-on-year.